It has historically been known under other names, such as ARC; American Association of the Red Cross (1881 - 1892) and American National Red Cross (1893 - 1978). Clara Barton, born in 1821, had been a schoolteacher, a clerk in the U.S. Patent Office, and had earned the nickname "Angel of the Battlefield" during the Civil War before she founded the American Red Cross in 1881. Barton's experiences of collecting and distributing supplies to soldiers during the Civil War, as well as working as a nurse on battlefields, made her a champion for the rights of wounded soldiers. After the Civil War, Barton aggressively lobbied for the establishment of an American version of the International Red Cross (which had been founded in Switzerland in 1863) and for the United States to sign the Geneva Convention. She succeeded with both -- the American Red Cross was founded in 1881 and the U.S. ratified the Geneva Convention in 1882. Clara Barton became the first president of the American Red Cross and led the organization for the next 23 years. Just days after the first local chapter of the American Red Cross was established in Dansville, NY on August 22, 1881, the American Red Cross jumped into its first disaster relief operation when they responded to the devastation caused by major forest fires in Michigan. The American Red Cross continued to aid victims of fires, floods, and hurricanes over the next several years; however, their role grew during the 1889 Johnstown flood when the American Red Cross set up large shelters to temporarily house those dislocated by the disaster. Sheltering and feeding continue to this day to be the largest responsibilities of the Red Cross immediately following a disaster. 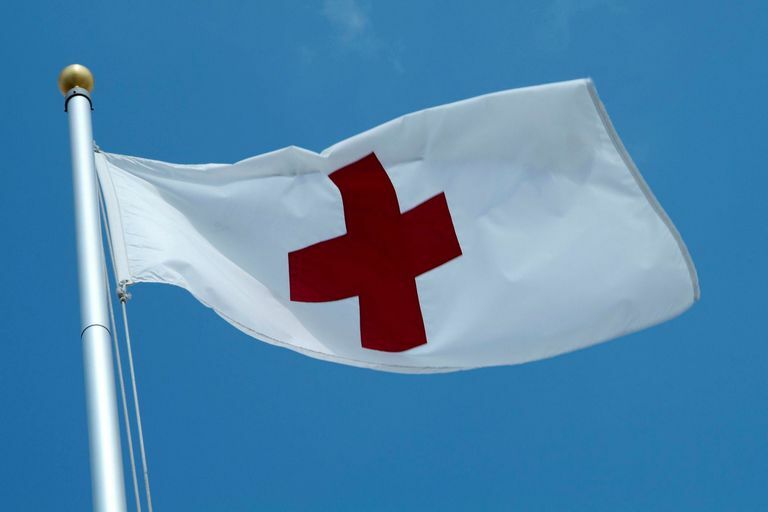 On June 6, 1900, the American Red Cross was given a congressional charter that mandated the organization to fulfill the provisions of the Geneva Convention, by rendering aid to those wounded during the war, providing communication between family members and members of the U.S. military, and administering relief to those affected by disasters during peacetime. The charter also protects the Red Cross emblem (a red cross on a white background) for use only by the Red Cross. On January 5, 1905, the American Red Cross received a slightly revised congressional charter, under which the organization still operates today. Though the American Red Cross has been given this mandate by Congress, it is not a federally funded organization; it is a non-profit, charitable organization that receives its funding from public donations. In the decade following the congressional charter, the American Red Cross responded to disasters such as the ​1906 San Francisco earthquake and added classes such as first aid, nursing, and water safety. In 1907, the American Red Cross began working to combat consumption (tuberculosis) by selling Christmas Seals to raise money for the National Tuberculosis Association. World War I exponentially expanded the American Red Cross by significantly increasing Red Cross chapters, volunteers, and funds. The American Red Cross sent thousands of nurses overseas, helped organize the home front, established veterans hospitals, delivered care packages, organized ambulances, and even trained dogs to search for wounded. In World War II, the American Red Cross played a similar role but also sent millions of packages of food to POWs, began a blood collection service to aid the wounded, and established clubs such as the famous Rainbow Corner to offer entertainment and food to servicemen. After World War II, the American Red Cross established a civilian blood collection service in 1948, has continued to offer aid to victims of disasters and wars, added classes for CPR, and in 1990 added a Holocaust & War Victims Tracing and Information Center. The American Red Cross has continued to be an important organization, offering aid to millions affected by wars and disasters.